HONG KONG (Feb 27): Hong Kong's stock exchange will bank on its role as a gateway to mainland China's deep-pocketed investors to take on other leading venues and win the coveted US$100 billion listing of Saudi Arabia's giant state oil company, Aramco, it said on Monday. Charles Li, the CEO of Hong Kong Exchanges and Clearing (HKEX), said access to Chinese capital and China's role as the world's largest importer of oil made Hong Kong a viable contender in the frantic race between listing venues. Chinese banks are also expected to play a part. Industrial and Commercial Bank of China International and China International Capital Corporation (CICC) are among the Chinese banks pitching for an advisory role. "For an IPO of that scale, it makes perfect sense to potentially be accessible by the very large capital base and investment wealth onshore in China," Li told reporters during an earnings briefing, adding it also made sense for Aramco to have a listing in Asia. He said the Hong Kong stock exchange has had discussions with Aramco and is working "very hard" to snag what is expected to be the world's biggest ever IPO. He gave no details on any of the concessions Hong Kong is expected to make for the deal. Li's comments come as Saudi Arabia's King Salman on Sunday kicked-off a month-long Asia tour to promote investment and court investors for the IPO. The monarch is visiting Malaysia, Indonesia, Japan and China. Saudi authorities plan to list up to 5% of the world's largest oil producer on the Saudi stock exchange in Riyadh, the Tadawul, and also one or more international markets, potentially raising as much as US$100 billion. One source familiar with the pitching process confirmed Asia was being considered by Aramco as a listing venue. With a focus on China's wealth and its strategic importance to Saudi Arabia — the kingdom is among the biggest suppliers of crude to China — the HKEX is seen as having an edge over potential Asian rival bourses in the race to bag the giant IPO. The Tokyo Stock Exchange, which has made efforts to woo Aramco, according to two sources, has less liquidity than Hong Kong and has seen foreign companies steadily delist over the past decade with only a handful of foreign listings remaining. The Singapore Exchange is also keen to get a piece of the Aramco IPO pie, sources have said, but would again face numerous challenges given its smaller size. The Hong Kong bourse, the world's No.1 IPO market in 2015 and 2016, famously lost the record US$25 billion IPO of Chinese Alibaba Group Holding to New York because it could not offer the ecommerce giant dual-class shares. Again here, some listing rules in Hong Kong would have to be circumvented if HKEX is to clinch Aramco's IPO, according to one person involved in pitching Hong Kong to the oil giant. Currently, the rules do not allow companies to list less than 15% of their total number of issued shares, while Saudi is also not currently an accepted jurisdiction of incorporation for Hong Kong listed entities. A secondary listing could also be tricky since HKEX does not currently recognise Saudi's Tadawul as a legitimate primary listing venue. Regulatory sources said the exchange does have discretion over how the rules are applied and is able to grant waivers in special circumstances as it did in the case of some Chinese bank listings. Russia's Rusal was also able to create a Jersey-incorporated entity in order to raise US$2.2 billion through its Hong Kong IPO in 2010, they added. "Even so, I think the Hong Kong Securities and Futures Commission (SFC) will have issues with the lack of disclosure around Aramco," said one of the sources involved in pitching a Hong Kong listing. "This could set the HKEX up for another clash with the SFC." HKEX's Li did not respond to a question on the regulatory challenges the IPO could pose for the exchange. The SFC declined to comment. 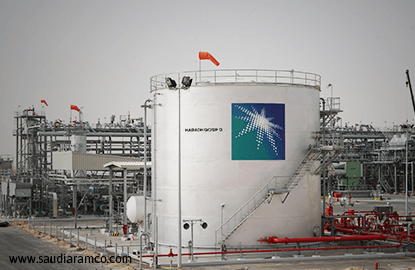 Aramco did not immediately respond to a Reuters query for comment.